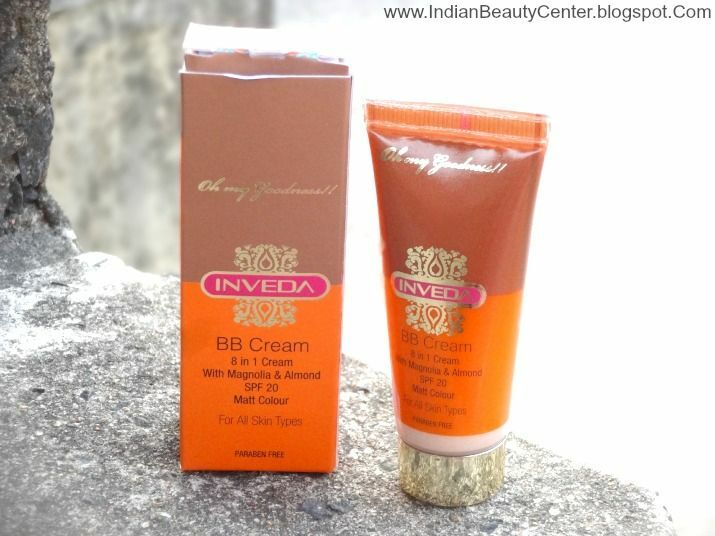 Claims : Enriched with Almond & Magnolia, BB Cream provides protection to skin along with other multiple benefits. It effectively conceals blemishes, fine lines & wrinkles & is a perfect base for makeup. Also, hydrates & tones Skin. It is Anti Ageing & has SPF 20 which protects Skin from UVA & UVB rays of the Sun. BB Cream Matt suits wheatish complexion. When Cream is applied, skin looks beautiful, healthy & even toned. The matte finish ensures that there is no oily residue left behind but a clean & refreshed skin. Directions for use : Apply it directly after cleansing the face or after application of Moisturizer. Shelf Life : 36 months from date of mfg. 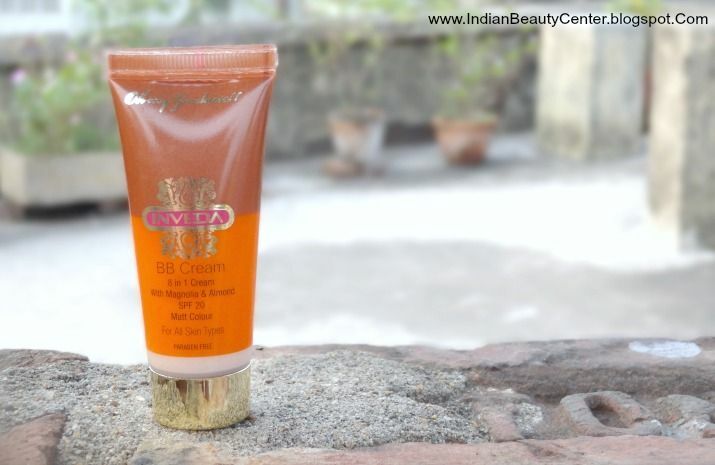 This lovely BB cream comes in a gorgeous packaging which mentions everything nicely along with the full, long ingredients list. I have checked the ingredients list and have found out some mildly comedogenic ingredients that are unlikely to cause acne or pimples but might cause pimple problems for extremely sensitive skin that breaks out with usage of almost any product. The mildly comedogenic ingredients in this BB cream are : Carbomer, Dimethicone, Triethanolamine and Zinc Oxide. It comes in 2 shades : Fair Colour and Matt Colour and I will review Matt Colour today. 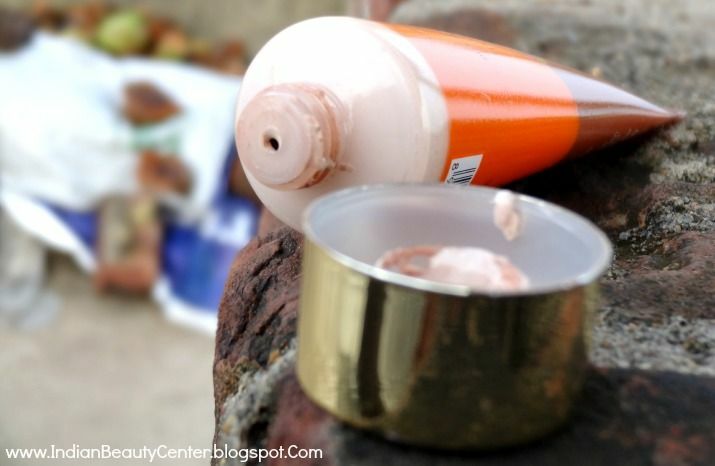 The good part about this face cream is that it contains SPF 20 for sun protection. 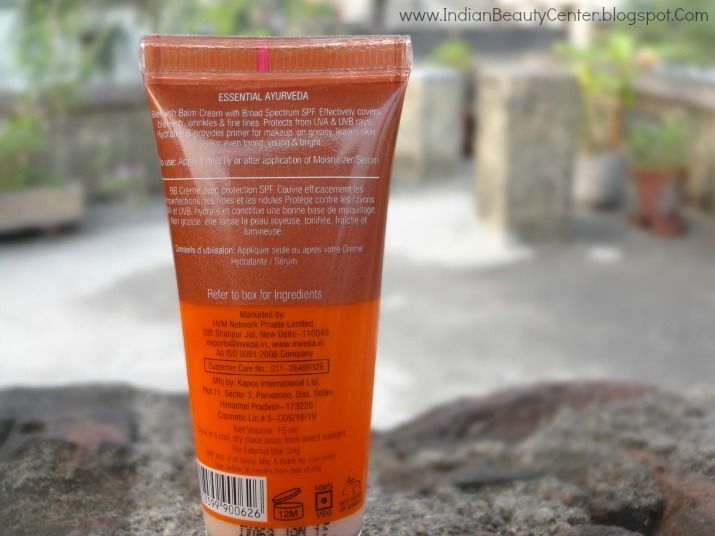 Although, SPF 20 is not sufficient for summers in most part of India, it is at-least a good addition to a BB cream. I use a sunscreen beneath this or mix this with my sunscreen and then use it. It truly is a good makeup-base and it actually makes the makeup last much longer. ♥ Must Read : 5 Wonderful Tips To Make Your Skin Glow Naturally! The tube dispenses the right amount of product and you can control how much you need. I need less amount of product for my face and I dot it all over my facial skin and then blend it in with my fingers. I do not use a brush to blend this in plainly because I am too lazy to do that! The fragrance of this is light and like mineral makeup. But it fades away as soon as you apply it onto your skin. Coming to the colour, this BB cream matches my wheatish skin tone nicely and resembles closely to my skin colour. So, I am very happy about it. But, if you use too much of the product on your face, it would leave behind a whitish cast which you would want to avoid. So, always use less amount first and then take some more if you feel the need for it. It never ever broke me out or cause any allergy on my skin. My skin is sensitive, acne prone and oily. After using this BB cream, my skin looks brighter and healthier and glowing. I love using this Blemish Balm Cream on my skin because there are days when I really don't feel like using concealer or foundation. This comes to the rescue and saves my time and gives me a quick fix. Do not expect high coverage from this. This only provides light coverage to the skin and only hies very faint blemishes. It is not a foundation or concealer makeup. It just adds a glow to the skin and provides very light amount of coverage and the right amount of moisture for my very oily skin. My skin starts becoming oily around the T-zone an hour later. Dry skin will definitely need to use a good heavy moisturizer underneath this. 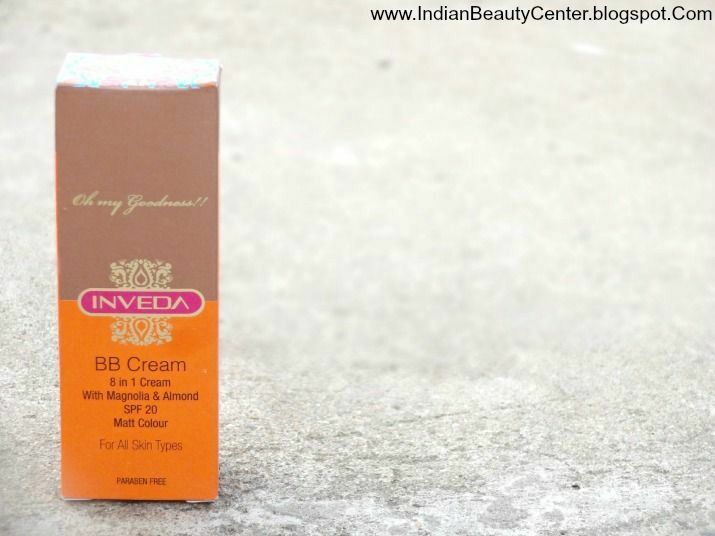 Overall, Inveda BB Cream is a good choice if you are looking for an affordable moisturizer which provides some benefits of makeup. it does not feel heavy on the skin at all and is not tested on animals and does not contain any parabens. It contains Magnolia and Almond and is suitable for all skin types. The packaging is also very pretty and does not look cheap. It also blends in easily and stays on my skin for 3 hours and starts fading after that. Buy it if you want a natural look and want to avoid heavy makeup. It is a good choice for college students and a good choice for all those people who want that hint of glow and brightness! I got this in my March Fab Bag Beauty Subscription 2015 and I am very happy with it! Must-try product. 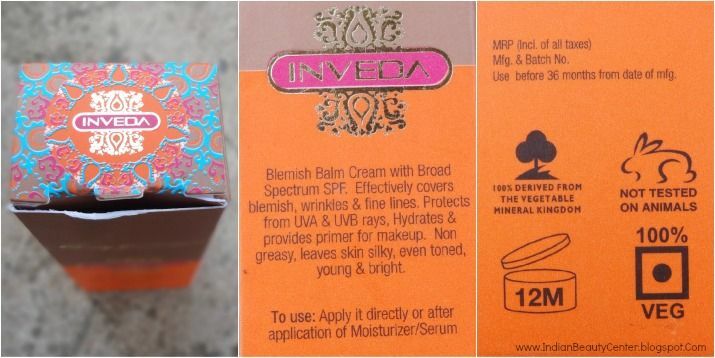 Yes, the Inveda BB cream is a really good skincare product! Nice review. I don't think it would be good for me as I have acne marks.